Breathe deeply. Stress will fade away. Two supremely complementary scents become one fragrant delight in this minty eucalyptus bar. Aromatic Australian eucalyptus will energize and renew you. If you’re looking for a homeopathic decongestant or a thrilling morning shower, this soap will satisfy you thoroughly. Powdered watercress gives this handsome bar its frosty green color. The soap is enriched with shea butter to hydrate and cleanse your skin. The copious lather makes for an invigorating shave. 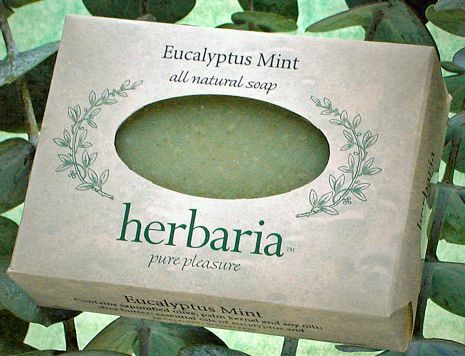 Koalas love Herbaria all-natural Eucalyptus Mint Soap!